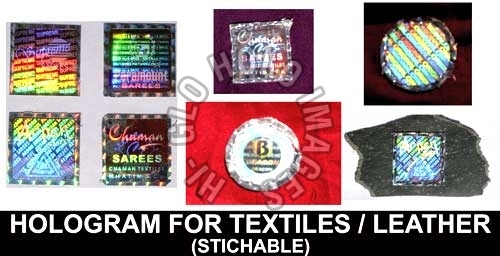 We are one of the largest Cloth/Satin label Manufacturers. Our Cloth/Satin labels are printed as per client specifications & on the specified type of satin or cloth. If desired, we also affix the client specific Holograms on their ordered labels to reduce an extra process at their works. Our range of cloth/ satin labels is highly suitable for all kind of uses. We are one of the most sought after Satin/ Cloth labels supplier. Special self adhesive labels printed on special cloth as per client specified artwork.